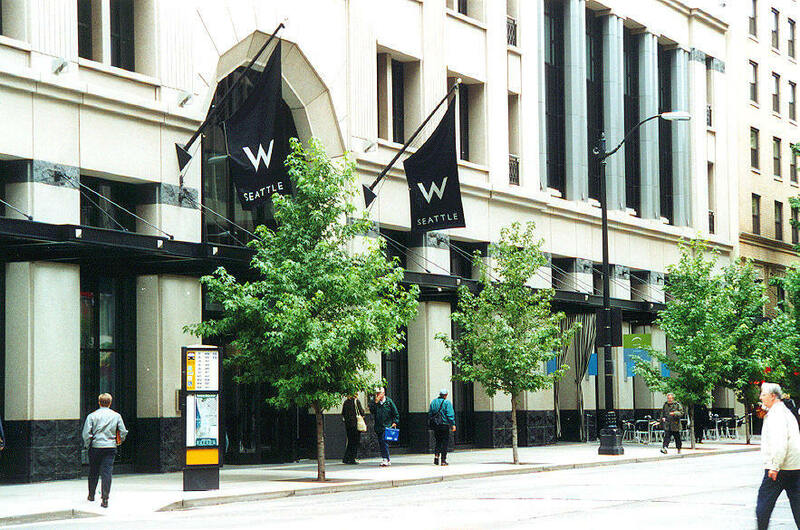 The Van De Vanter Group provided trees along Fourth Avenue and Seneca street, accenting the entrance to the W Hotel, while also providing irrigation and tree up-lighting. 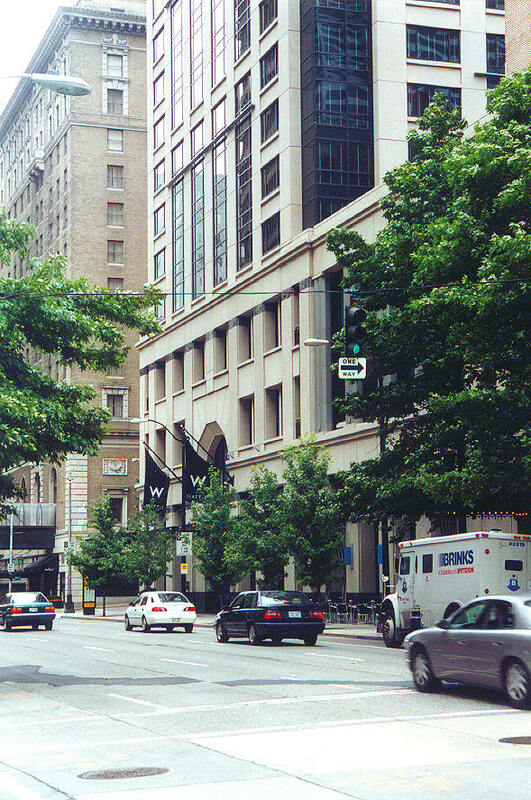 The trees, which needed to be mature at the time of planting to enhance the quality of the streetscape and building facade for the hotel’s grand opening, were five-inch caliper American Sweetgums. American Sweetgums are the largest trees with root balls that could fit within the City’s standard 5’ x 5’ tree grate openings in the sidewalk.